We are delighted to announce the City of Sanctuary East of England Gathering will be held in Colchester on 6th October, 2018 from 11am – 4pm at the Firstsite Gallery. It’s a great opportunity to hear about some of the amazing organisations who have made resolutions of support to areas across the East. It has been a proud time for Colchester to have the Sixth Form College launch as the first College of Sanctuary in this region. Friends not Foes, a special group of young people have long been supporting refugees in our town but there are many aspects in the College worthy of celebration. The Regional City of Sanctuary coordinator was very impressed when he visited to assess the College recently and was more than happy to award status after seeing for himself the remarkable attitude and resources available to make the College truly reflect a welcome to all. 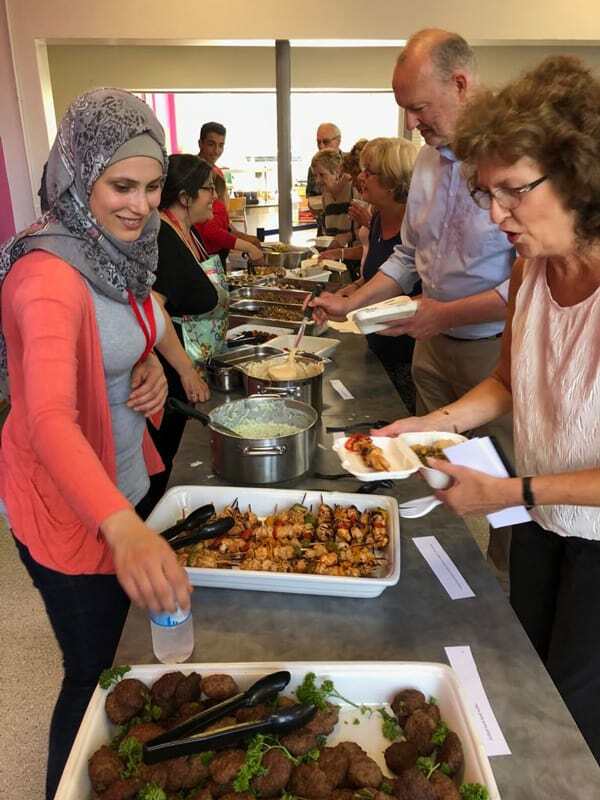 On the launch day falafel wraps were served by one of our Syrian friends for students and the staff had a wonderful Syrian buffet in the evening. This entry was posted in Borough of Sanctuary, Friends not Foes, News. Bookmark the permalink.